We recently managed to catch up with current WWE superstar "The Funkasaurus" Brodus Clay to chat about, among other things, his new movie, "No One Lives" which is out on DVD and Blu Ray over here in the UK now and available from all good DVD retailers. Hometown: Planet Funk by way of Los Angeles, California, USA. 1. How did you get into professional wrestling and what drew you to the sport? I've been along with wrestling since I was about seven, eight years old, was when I first started to catch some of it and over time it just grew and it was always something that I reenacted in my mind a million times. I had no actual family ties, or any "guy who knows a guy" type situation, I was involved in breaking up a bar fight at Universal Studios, Saddle Ranch in sunny California, where Tommy Dreamer discovered me and sent me to Deep South (WWE's old developmental territory) where I met Bill DeMott and it took off from there. I'm pinching myself a lot. It's been a lot of hard work and some ups and downs, but I'm loving where I'm at right now. 2. 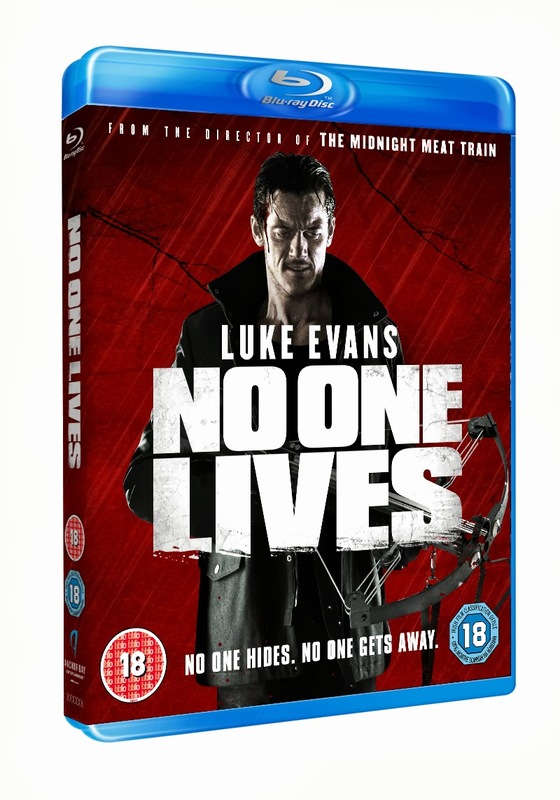 No One Lives is coming out on Blu Ray and DVD here on September 23rd, it didn't get a cinema release in the UK, so what viewers expect if they purchase the film? 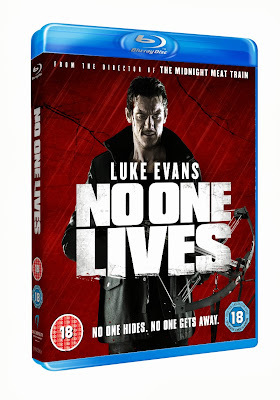 Well, No One Lives was an old school horror movie, an old fashioned blood and guts fest. The title kinda tells you where it's gonna go, No One Lives absolutely. It was a lot of fun to do, and the character I play, Ethan, is brother of Hoag (played by Lee Tergesen of "Oz" and "Generation Kill" fame) and they run a local gang that does some kidnapping and extortion and they kidnap the wrong guy. They accidentally kidnap a kidnapper, who is a psychopath, which leads to a series of graphic, unbelievable scenes. You know, so just family fun. 3. How did your role in No One Live actually come about? John Lauraitis was the head of Talent Relations at the time and I had just come off a match with Christian and Alberto Del Rio at Extreme Rules, where I got busted open and had about thirteen staples in my head and because of where they were on my head, they said I was going to be on the shelf for a little while. So I was in a little bit of a bad mood that day, and then John said "Hey, we've got his project." and before he could finish I was like "Yeah I'll do it" and he was like "But you didn't let me finish yet" but I said "No, I'll do it", so he was like "Okay, I'll tell 'em". Then he came back to me and he was like "You're going to be in a movie! ", I was like "Oh, thank you". I jumped up all over, I didn't even know what it was, so when I found out it was a horror film, I was stoked. 4. Who are your inspirations, in terms of your in ring work and is there anyone that you draw upon when you're in the ring? Oh yeah. Ring presence, you know, Gorilla Monsoon, King Haku, "The American Dream" Dusty Rhodes, "Hacksaw" Jim Duggan, Bad New Brown, "Bam Bam" Terry Gordy, "Dr. Death" Steve Williams, we're all huge influence on me, "Mr. Wonderful" Paul Orndorff, Andre The Giant, just guys going forward, King Kong Bundy, just guys going forward, being aggressive. I tape my fingers like King Haku used to do, some guys know him as Meng in WCW, as King Haku in the WWE, King Tonga. I always just a big fan of, so I emulate them quite a bit and I like doing suplexes and power wrestling and those guys all emulated that. 5. You currently work with Tensai as part of the Tons of Funk tag team, what have you learned from working with a seasoned veteran night in, night out? Oh yeah, everytime you step into the ring with Tensai you learn something new. His mind when it comes to sports entertainment, and wrestling and tag team wrestling is just vast and vast. He's a tremendous professional. He doesn't get a lot of credit, but he's one of the better in ring performers in the last twenty years. He's just a consummate pro and approaches everything 100%. I really dig it and I've learned a lot from this tag team. 6. If you could have face anyone from wrestling's vast history, who would it have been and why? I would have loved to have took Hogan, in his prime. I would have loved to have gone against Andre the Giant. I think that would have been a tremendous honour and then, you know what, I don't know if I'd want to go against The American Dream, because he was such an idol, but I'd have liked to have tagged with King Tonga/Haku. Anyone of those guys would have been a lot of fun. Oh, and I would definitely have loved to beat up "Double A" Arn Anderson. 7. You've portrayed two very different version of Brodus Clay on television, starting off as Alberto Del Rio's bodyguard, before switching to The Funkasaurus gimmick, which one do you prefer to portray? And is there a chance we could see the old mean Brodus back at some point? Never say never in the WWE and sports entertainment and I would love to put the two characters together at some point. I think as you grow and emerge and situations dictate, you would want almost need that to be a complete package. There is a place for Monster Brodus Clay, I believe. 8. Finally, when will you be returning across the pond on the next WWE tour and is the tour something that you look forward to? I believe we'll be up there in November. I believe so, I don't have the exact dates. Actually, I was always told that the UK had horrible weather, but everytime I go up, it's sunny, it's beautiful. I always enjoy it, the fans are great. We don't get to see them a lot, so it's always nice to get to go out and see them, interact with them, I love the live events whenever we go to Europe it's always a lot of fun. 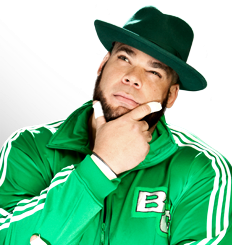 We'd like to thank Brodus Clay for allowing us the time for this interview, as well as Fetch Publicity and WWE for setting it all up.